Any sneakerhead knows the frustration of not getting what they want on release day. The surge of adrenaline that courses through your veins when you think you’ve finally checked out fast enough — only to be crestfallen when you’re met with yet another “Sold Out” screen. 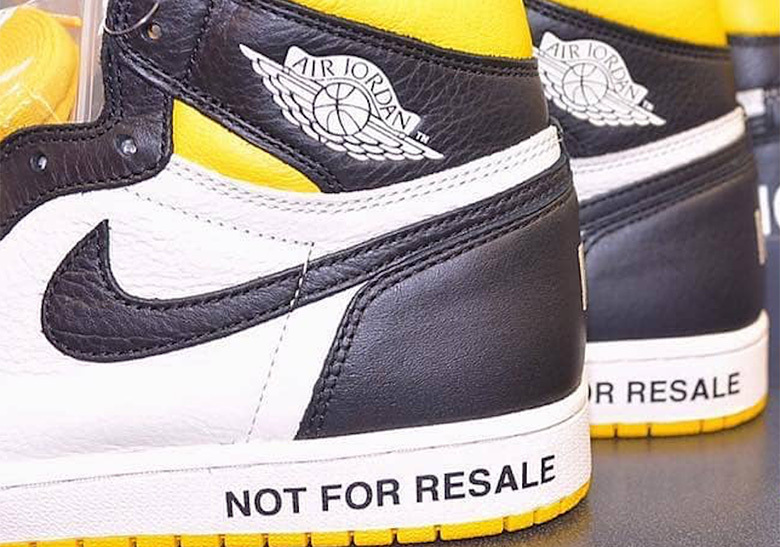 It’s a disheartening — and completely unavoidable — part of today’s sneaker game that Jordan Brand is cheekily nodding to with the “No Ls” Air Jordan 1, a physical manifestation of the craziness that surrounds limited drops. 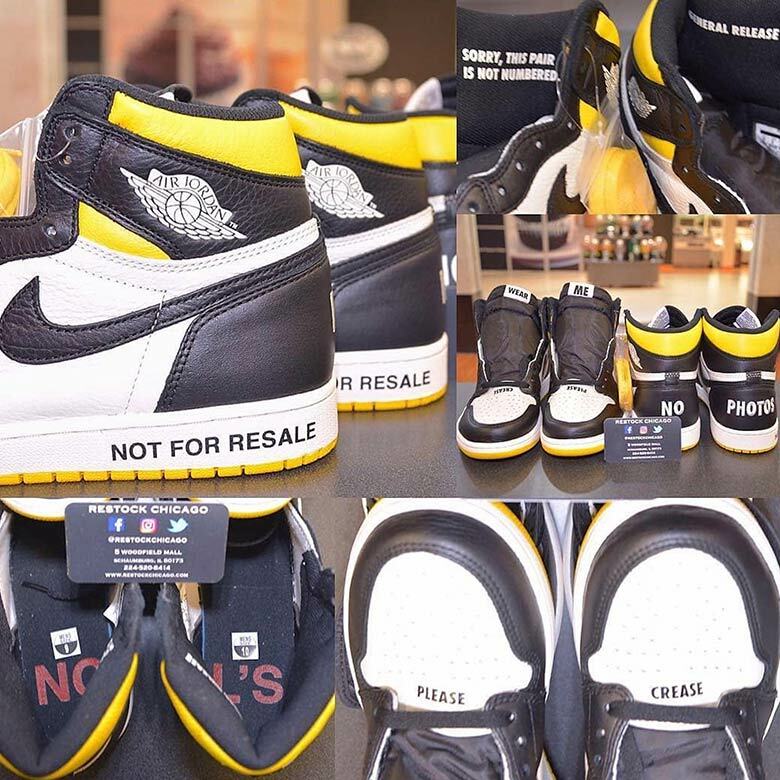 The shoes are dressed in a fairly straightforward combination of black and white with vibrant yellow accents, but it’s their special branding that sets them apart, as almost every part of the shoe features a unique text hit, from “Please Crease” on the toebox to “No Photos” on the heel and “No L’s” on the insole. Jordan Brand is clearly very aware of the stigmas surrounding sneakerheads, and has managed to make them into one of the more unique homage shoes of the year. Check out all the humorous embellishments below, look for these “No L’s” AJ1s to release this December, and keep it locked to our Jordan Release Dates page for all your Jumpman drop updates.